Beatriz Simon’s painterly composition Familia invites viewers to slow down and observe both small and large details. 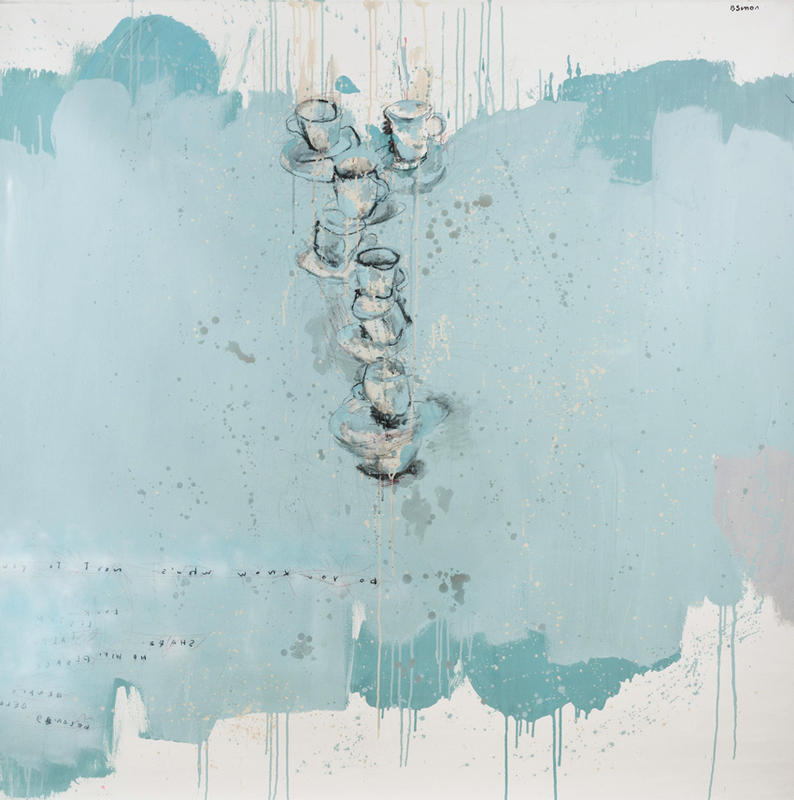 Layered washes of pale turquoise build a deep, dimensional composition, while the words and abstracted tabletop subjects invite nourishing conversation, gathering, and sharing. Familia is from Beatriz Simon’s Table Talks Project. Concerned about new generations that live almost virtually, Beatriz Simón appeals to a more humanized society. To return, understand and celebrate life enjoying our people without hurry, developing our sense of belonging through our family, understanding that each and everyone of us has a very special place. A table where we learn to express ourselves, to communicate, to talk, listen, cry, laugh and miss those absent, where we get to know and respect each other. Where we become aware of our emotional journey in life. Where we give or receive advice, where we learn from each other, where we make family, friends and culture. What’s better, having 400 followers on social media or 4 people that we really love? These spoons, plates, tablecloths and food, evoke and honor the Latin custom of sharing food in the midst of long conversations in which everyone really participates. Simon invites us to turn off our cell phones for a moment, to look into the eyes of who we have in front of us, and enjoy their company, unplugged because no virtual experience can be compared to what you share, learn and listen in table discussions surrounded by yours. We grow and bond as families and society, we share life, love and values. It is where we feel most comfortable, where there is no need to pretend, where we are at home. No matter how much technology advances throughout our lives, we will not find the true meaning of our being, if we don’t go back to our essence and work to maintain our human sense. 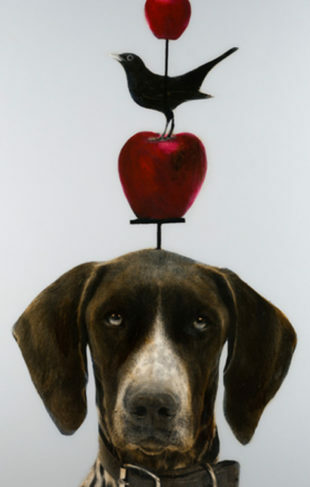 To view Beatriz Simon’s paintings in person, visit the gallery nearest to you.